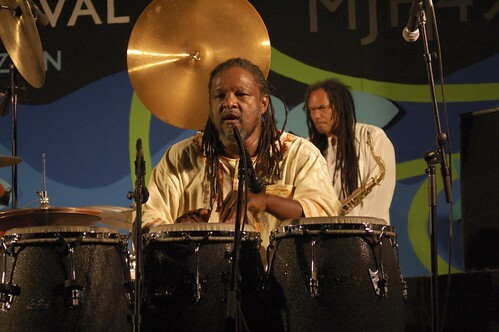 August 29, 2007; Monterey, CA; The Monterey Jazz Festival is looking for volunteers to assist MJF staff in producing the historic 50th annual MJF, to be held at the Monterey Fairgrounds, September 21 – 23, 2007. Volunteers will see the Festival up close, act as MJF Ambassadors, work with stage, public relations, hospitality, and other MJF related activities. Positions are open to all, from students to seniors, and everyone in between. Volunteers may work behind the scenes or in a crowd, and are able to stay on the grounds after serving a shift to enjoy the Festival music, events and activities. Volunteers are needed starting Monday, September 17, continuing through Monday, September 24. There is a special need for help early in the Festival week, with positions available to help set up for the Festival. To apply to be a volunteer for the Monterey Jazz Festival, please visit the Festival’s website, www.montereyjazzfestival.org and look for the “Volunteer for the Festival” button on the homepage. You will find volunteer information and an application you can print out, fax or email to the Festival. This entry was posted on Wednesday, August 29th, 2007 at 4:13 pm. It is filed under Monterey Jazz Festival, Music News/Info. You can follow any responses to this entry through the RSS 2.0 feed.